December 2012 :: Visit to the Dailymotion.com NYC Headquarters. This past week we took a visit to the Dailymotion.com headquarters in NYC. Seeking a solid platform for the professor’s video content, Professor Universe, his artistic collaborator Ryan Seslow, graduate assistant Paul Glasky, and videographer Niek Eegle joined in to help make a pitch to the company. The building’s architecture on 5th avenue was impressive, we all felt totally in sync with the energy of this structure. We were all happy to have made the same “connection” before we headed up on the elevator. Our motionmaker contacts Romain, Daniel, and an unidentified computer programmer were happy to have us, yet they seemed distracted at first. Professor Universe had claimed that “an energetic vibrational rapport synchronization” had to be established. We took the first few moments to do so. You can see the intensity in this lecture photograph above. Although they were unconscious to the subliminal effects of the exercise, a rhythmic vibration tone had been established. I operated the camera for this portion of the talk as Niek Eegle felt she needed to also sync into the vibration. I also operated the microphone as we have made a video recording of the whole meeting for educational reference purposes. We are grateful to our hosts for this permission. The video has currently gone to editing and will be released publicly right here very soon. After the short meditation, our hosts proceeded to inform us about the companies goals, statistics, and what it took to be accepted as a motionmaker. “The motion-maker status is what you will need to strive for,” said Daniel. We reviewed several of the other users videos and looked in to the amount of views the top producers were generating. Professor Universe processed the numbers immediately and helped recalculate some of the anomalies, most impressively without a calculator. A blank look was held by everyone in the room for one second until the professor murmured; “Business as usual.” An eruption of laughter followed and this seemed to lighten the atmosphere. Video:: Please observe this series of actions and gestures that were captured here by Niek Eegle to create this animated GIF rendition of our visit. Pay special attention to the professor’s energy as he speaks passionately about his work and connects deeply with all involved. An intimate shot captured here of Spaulding and Romain as they shared a common memory. Turns out that both men had an early childhood love for Ornithology. After a brief touch on the subjects of various birds, we moved on with our talks. The energy began to change again, it was looser now. 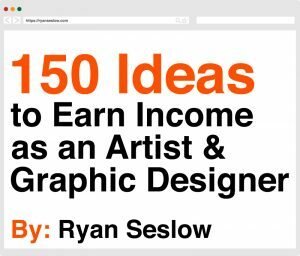 We spent some time sharing several examples of the most recent creative collaboration projects that we have been working on. As potential motionmakers we would be creating and using only our own content. The animated GIF above was created for promotional purposes when our last documentary was released in late 2010. The Integration of Professor Universe (which can be seen on this dailymotion link) is a multi-award winning short film that has been traveling on the independent film circuit for the last two years. It has been dubbed: “An important piece of New-Insightfulness in a tech driven world” by Dr. Edgar Fast, the department chair of Meta-Being Psychology at Metropolitans University here in NYC. A dramatic shot of Spaulding deep in lecture mode, the professor continued to re-emphasize why his content, collaborative projects, and source material would only benefit dailymotion and its vast user base. 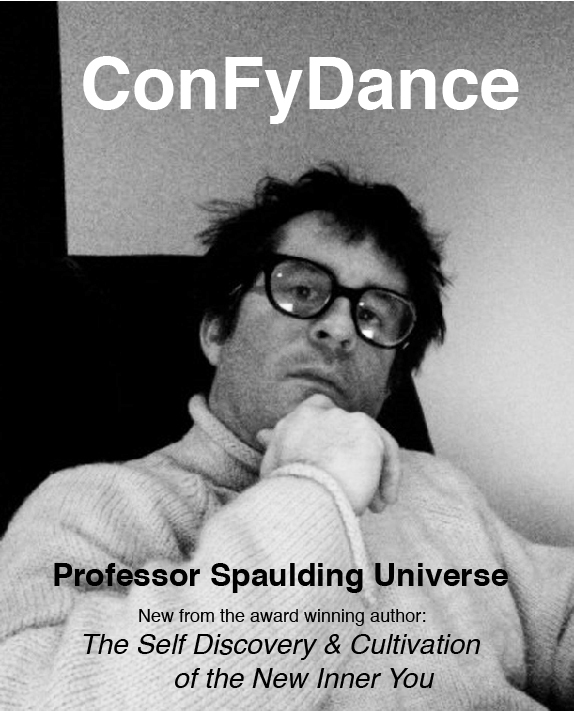 He spoke confidently about his new video excerpt based book “ConFyDance” and showed several video book excerpts which can be seen both here on the professor’s blog as well as on our dailymotion account. The book is already an underground best seller abroad. After three and a half hours of talks, presentations, and whispering in secret, a deal has been made. Our hosts had left the meeting room for 30 minutes, upon their return we had informed that we have been accepted on a “secret motionmakers probationary trail basis!” Although the duration of the probation is unclear, and our hosts still seem skeptical, there is a shimmer of light! An acceptance photo shoot was agreed upon as well! Cheers! Please stay tuned and follow our journey as we proceed forward!